Give them the gift of discovering the UK's most glorious and exciting small batch artisan foods all from the comfort of their own home. By sending them a Yumbles e-gift voucher they will be invited to come on a food exploring adventure and use your gift to buy and indulge in whatever delicious small batch artisan foods take their fancy. With more than 3,000 unique food and drink items from more than 250 of the UKs most talented small food and drink producers they'll be spoilt for choice. 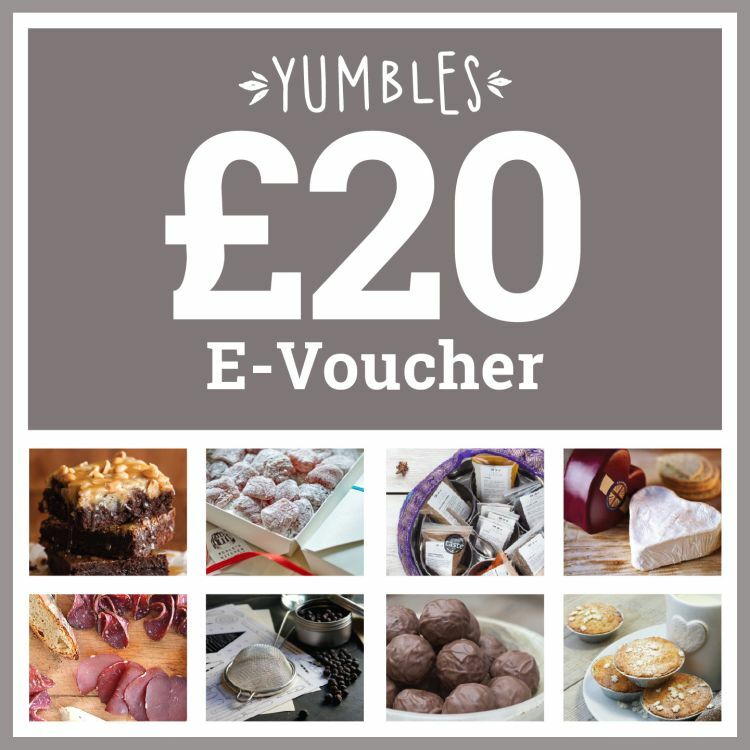 Choose your gift voucher value, enter your gift recipient's email address, your gift message and then at checkout choose the date you would like their Yumbles e-voucher to be delivered to their inbox. (If you don't select a date for the voucher to be emailed to your recipient then we will send it to them the very next day from your order). Once ordered, stand back and wait smugly in the knowledge that you have just found them the perfect gift. This product is eligible for free Same Day delivery. Is your friend or family member a big food fan? If so then give them THE. BEST. GIFT. EVER!